Now a major motion picture from Disney, starring Josh Hutcherson and Zooey Deschanel! Discover the beloved Newbery Medal-winning story by bestselling author Katherine Paterson, a modern classic of friendship and loss. 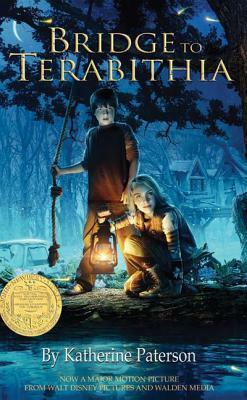 In addition to being a Newbery Medal winner, Bridge to Terabithia was also named an ALA Notable Children's Book and has become a touchstone of children's literature, as have many of Katherine Paterson's other novels, including The Great Gilly Hopkins and Jacob Have I Loved. Donna Diamond has illustrated numerous children's books, including The Day of the Unicorn by Mollie Hunter and Riches by Esther Hautzig, as well as many book jackets. She lives in Riverdale, NY.